We have surpassed 10,000 signatures on the petition to help put an end to the suffering of the Keeshonden at Marjorie’s Kennel, a large puppy mill in upstate New York, who had promised to turn over her dogs to Keeshond rescue, and now is going back on that promise to continue to breed her unhealthy and neglected dogs. Thank you to everyone that have already signed. As promised, here is that video of Clancy playing the bongos in return for the petition reaching 10,000 signatures! Keep spreading the word! Clancy wants to keep showing off his tricks! PLEASE do not support puppy mills by purchasing a puppy from a pet store or unknown person from the Internet… you will be dooming that puppy’s parents to a horrible life. Either adopt, rescue, foster OR buy from a reputable breeder. Please do your research before taking that cute puppy home. You will be happier and the poor dogs suffering at places like Marjorie’s Kennel will be happier that there may be a day that puppy mills are put out of business. Interested in trick training or booking Clancy for a trick show? Contact us at FUNanimal Pet Services! Thanks! 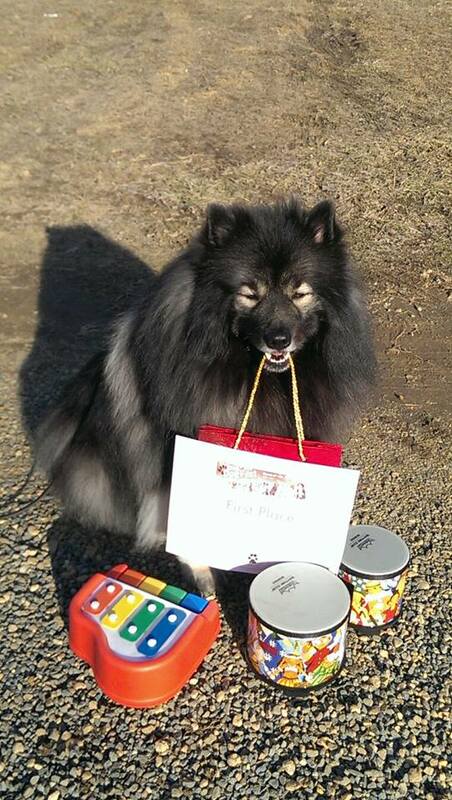 Categories Clancy ~ My Keeshond, Dog Sports, Dog Tricks, Keeshond stuff, Uncategorized, Videos starring Clancy the Keeshond!